Friday people arrive from mid afternoon to late in the evening. 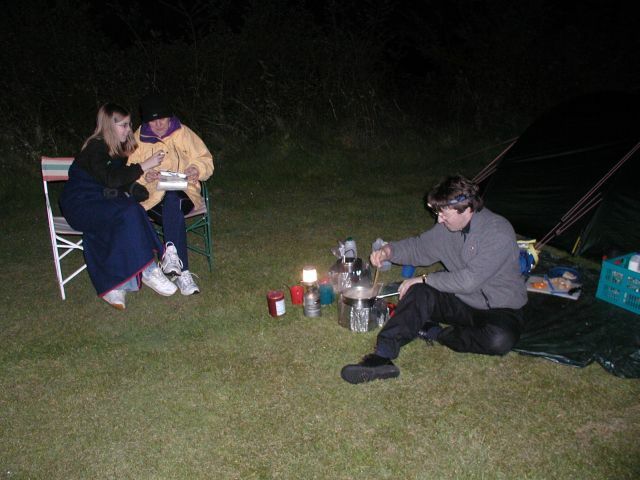 Here is David Holman cooking for his brood whilst Ann and Ceri-Siân watch with full tummies. 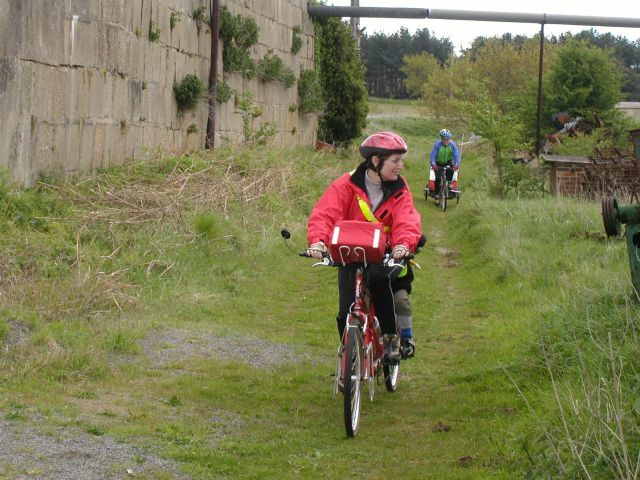 Marion Bowen riding the bridleway from Wantisden Corner towards Friday Street. 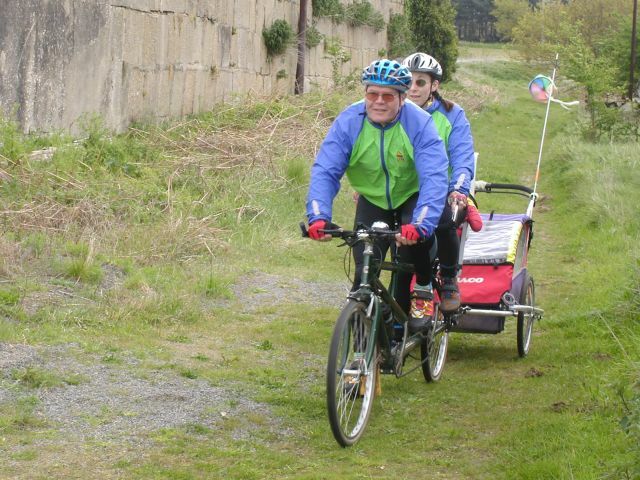 George and Lynda Rowe pulling Helen in the trailer along the bridleway from Wantisden Corner towards Friday Street. 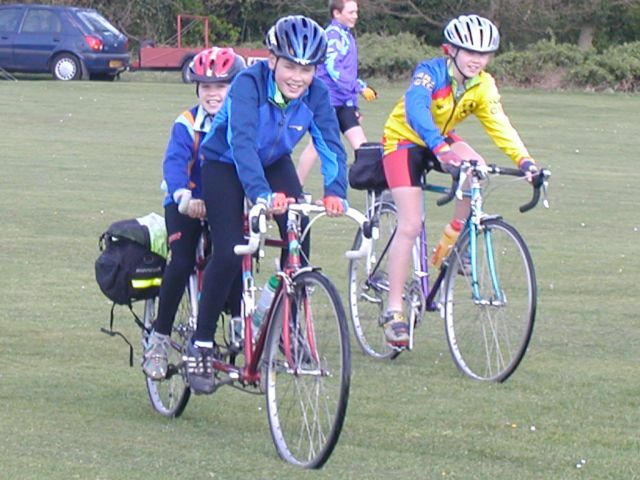 Hannah and Thomas Payton riding their mum's tandem. 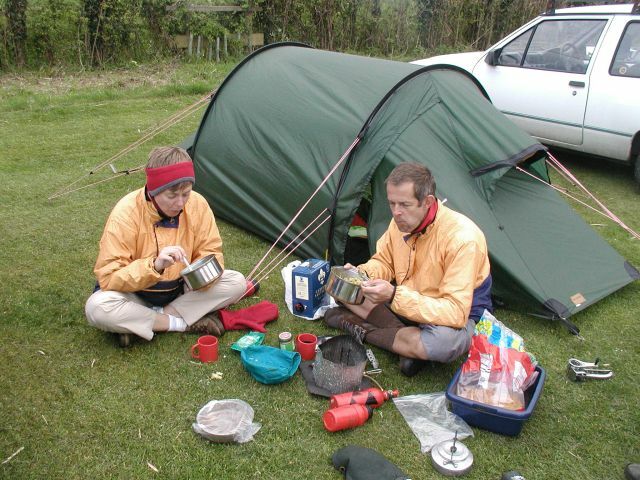 Pippa and John enjoying tea lightweight camping style - they cycled all the way from Nottingham and rode back on the Monday. Chris Bowen mending puntures. 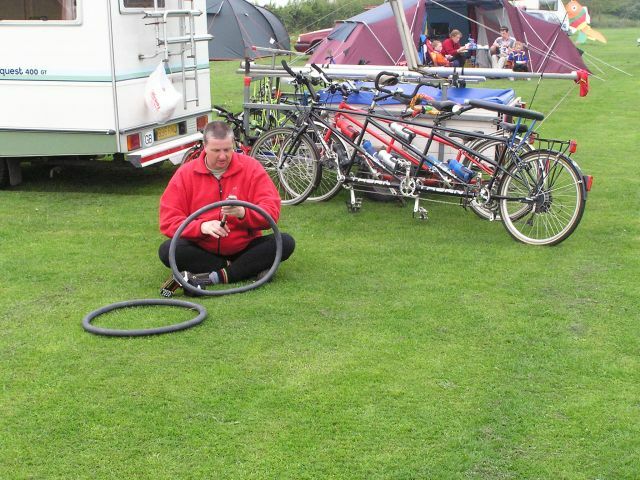 One problem with tandems and triplets is you pick up more punctures then riding half bikes..